On the night of my 35th birthday last 15 November 2015, I went out with my brother Nathan and cousin John Stephen. 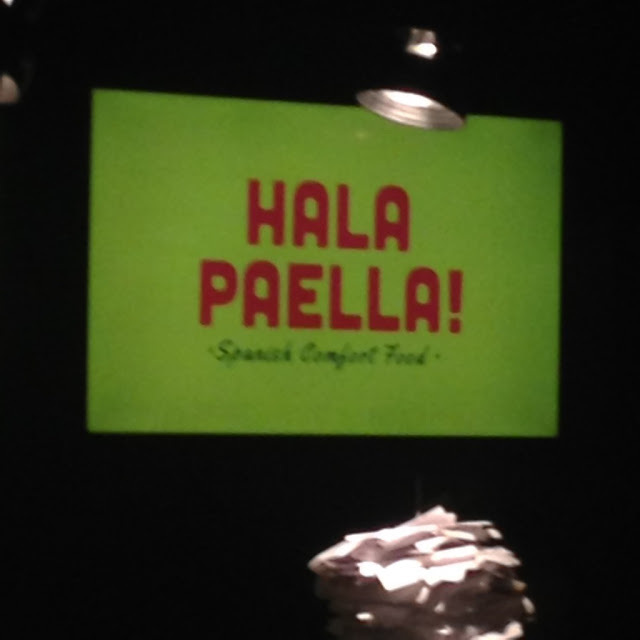 We headed out to Hala Paella at the Banilad Town Center. BTC has some good restaurants. We hoped this one would be another good find. Hala Paella serves Spanish comfort food in Cebu. Grab one or two of their rice dish specials and pair it with one or two of their main courses, and you are good to go. Paella is the house specialty. It's name screams that out for crying out loud! There are six varieties available at Hala Paella: Chorizo, Aligue, Negra, Lechon, Valenciana, and Pollo. Chorizo has sweetened ground pork mixed with the rice. You can order three different sizes: Solo, Grande, and Familia. The solo size is actually a bit generous already as it can serve two to three people. 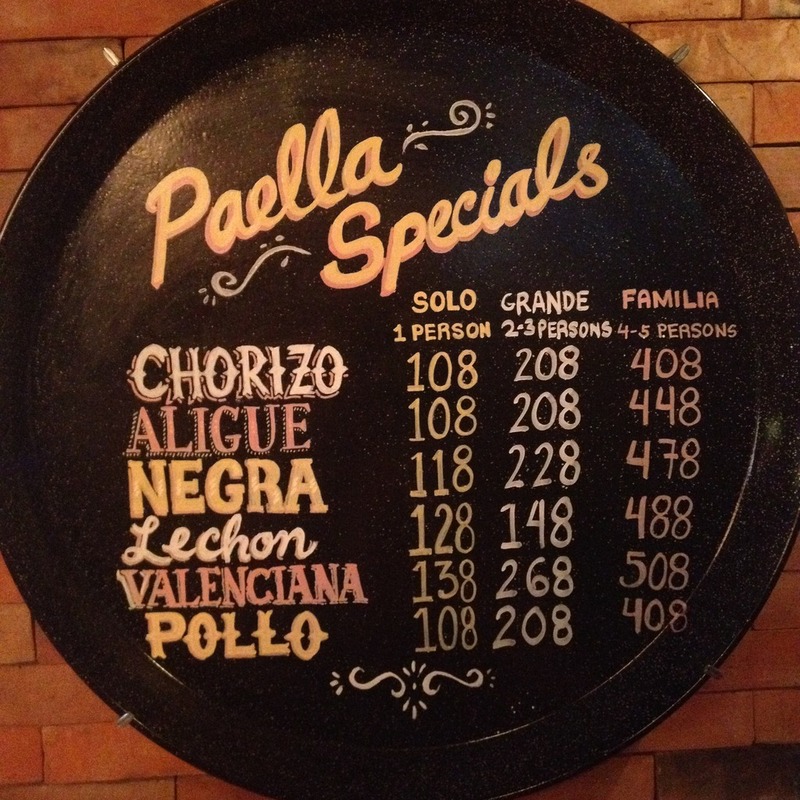 We ordered three kinds of their rice specialty dish: Aligue, Negra, and the Valenciana. 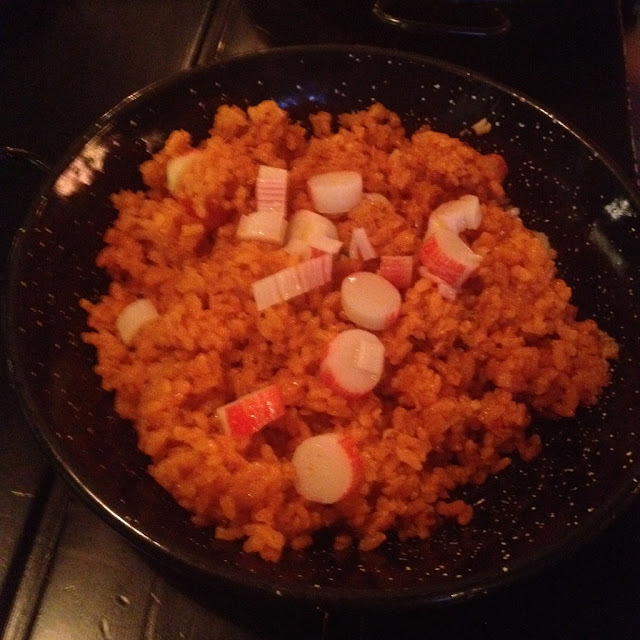 If you are a fan of seafood, try the Aligue Paella. It has some crab sticks and crab fat mixed in the rice. You can enjoy more seafood with Negra Paella. 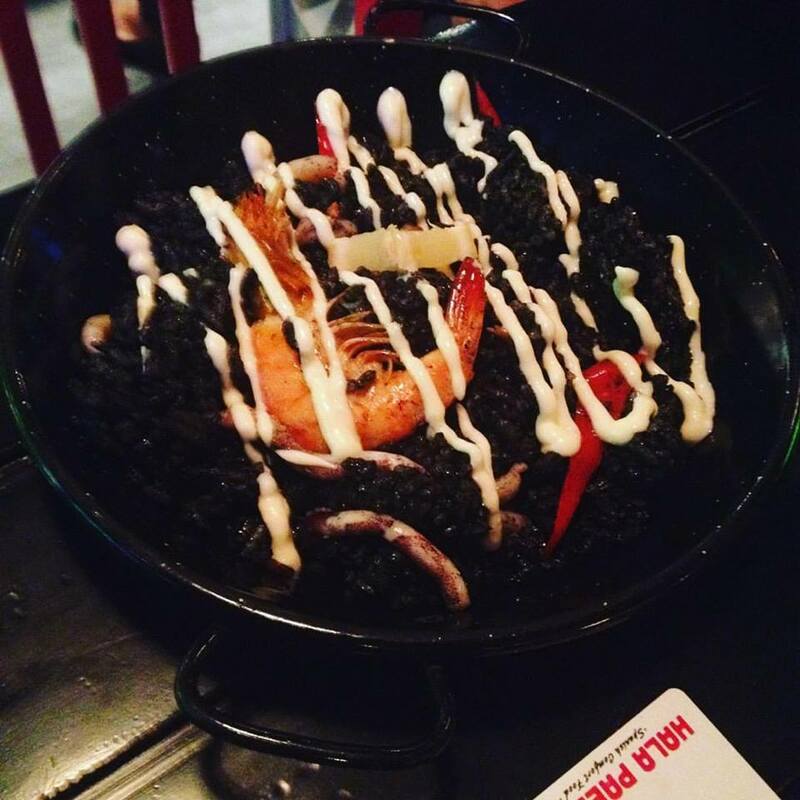 The dish features rice blackened by squid ink and also has some shrimp and squid bits mixed in the rice. When you want to have it all, the Valenciana is like the mother dish. 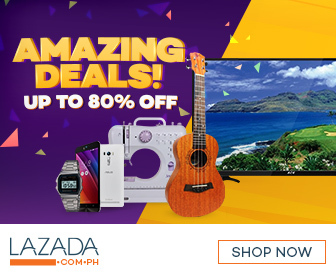 It is abundantly sprinkled with clams, shrimp, squid, chorizo, and lechon. 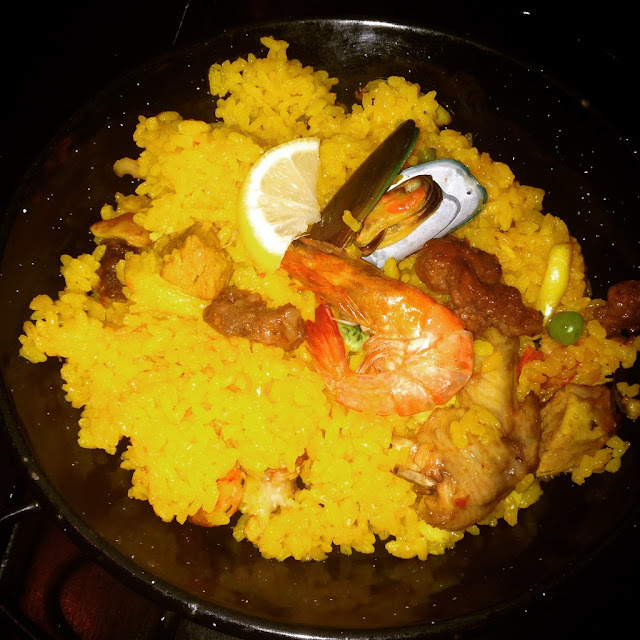 Pollo Paella has chicken mixed with the rice. Lechon Paella obviously has the famed Cebu lechon mixed with the rice. The Spanish chorizo variety has sweetened ground pork mixed in the rice. 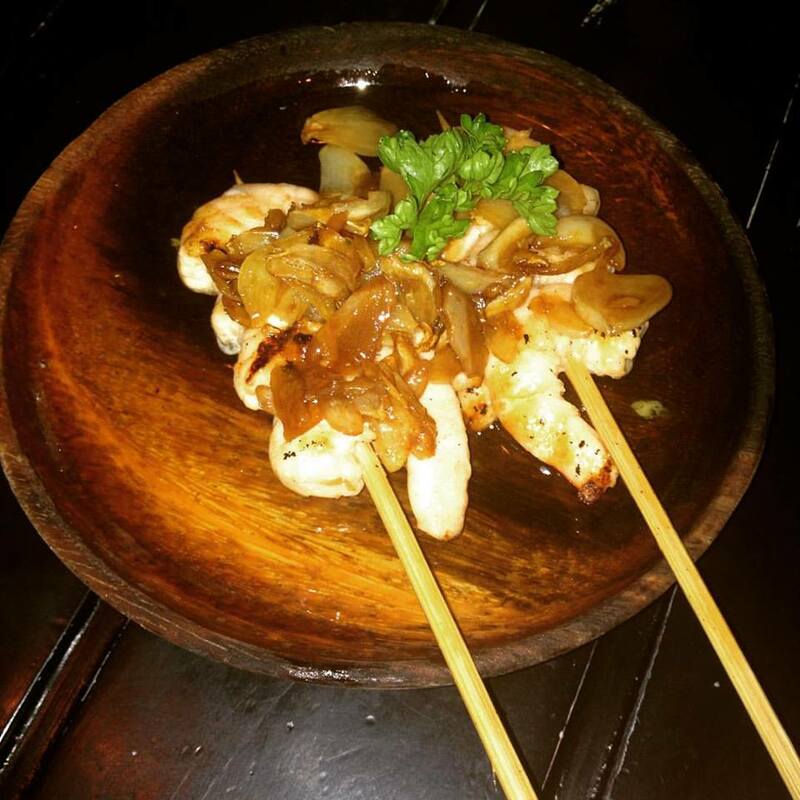 We tried their gambas and chuletas. The flavors on both dishes were okay. 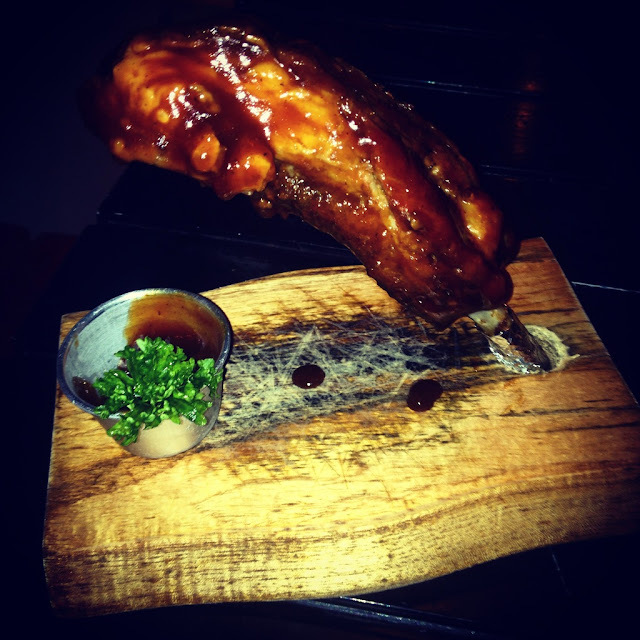 I personally liked the sweetened pork ribs. The meat though can be made a little more tender. I loved how there's a lot of garlic in the gambas. I'm a huge fan of garlic on my food so it wasn't a hard sell to me. Hala Paella is located at the Banilad Town Center (BTC) in Banilad, Cebu City. It's stall is right outside Dim Sum Break near the vehicle exit at BTC. For take out orders, you may dial +63 32 344 4252. You may also connect with them by liking their Facebook page. Have you tried the specialty rice dishes at Hala Paella? What is your favorite variety? 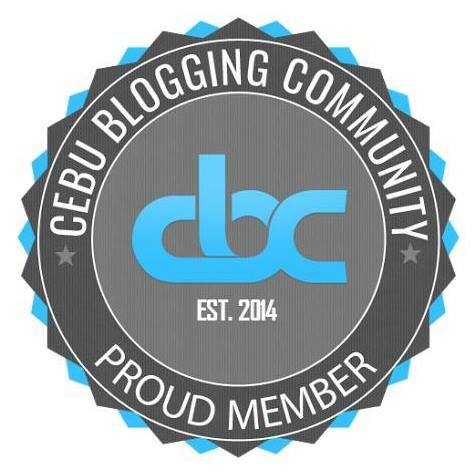 We'd love to hear your thoughts and experiences. You may share them in the comments below.